Jolly Old Town | The Kids Beat | Kids VT - small people, big ideas! 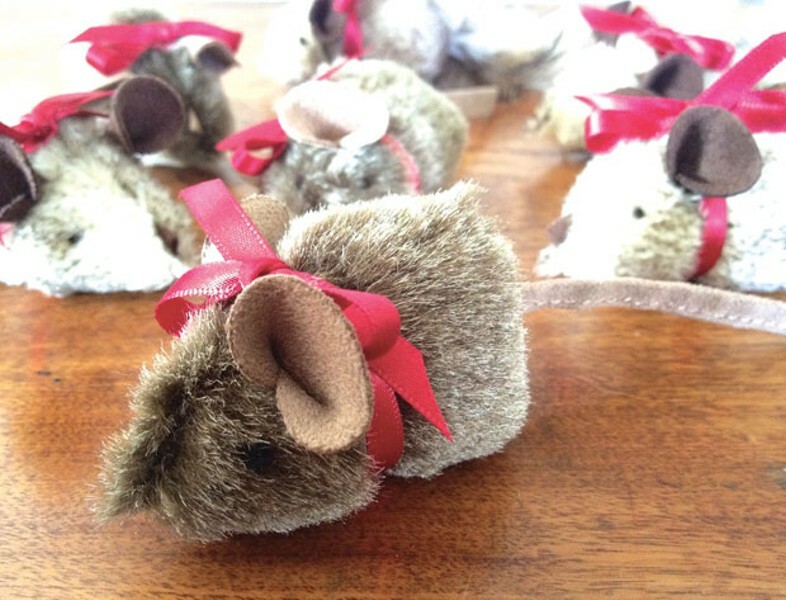 'Tis the season for visions of sugar plums — and in Middlebury, Christmas mice. As part of the Better Middlebury Partnership's A Very Merry Middlebury, select store-window displays harbor the minuscule mammals for the "I Spy 10 Tiny Christmas Mice" contest. The challenge encourages families to find and report the whereabouts of at least six merry mice for a chance to win $100 in Middlebury Money, which is accepted at more than 100 local shops. Sweetening the deal is a long lineup of kid-friendly events happening throughout the month of December, from a hot-chocolate hut to a puppet performance of Hansel and Gretel. And let's not forget Santa's arrival party. "The little kids go bananas when they see him pulling into town on the fire truck," says Very Merry Middlebury organizer Adrienne Illick MacIntyre. A Very Merry Middlebury: Info, 377-3557, find a schedule of events at bettermiddleburypartnership.org.